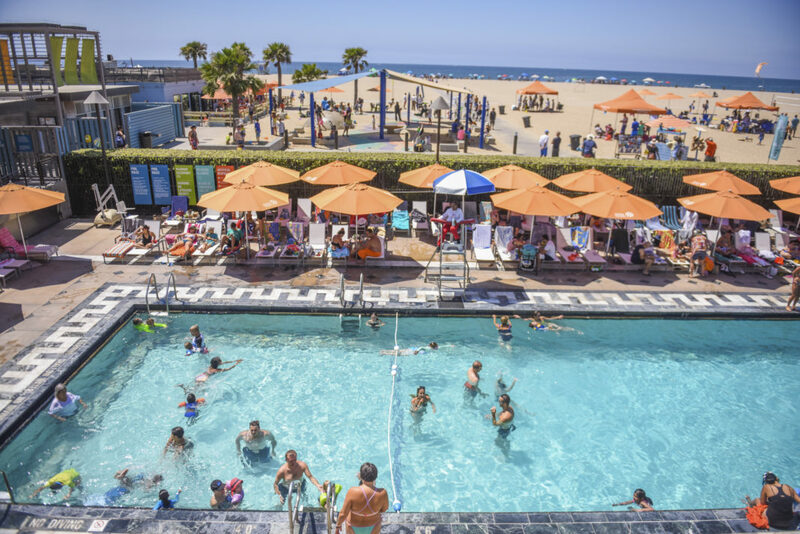 Swimming pools are gearing up for the summer in Santa Monica. Photo by Sarah Pirkryl. Photo courtesy of city of Santa Monica. SANTA MONICA—The city of Santa Monica has revealed that three public facilities will be open this summer to provide recreational swimming options to the public at the Annenberg Community Beach House, the Santa Monica Swim Center and the Lincoln Middle School Pool, in addition to public aquatics. Operated by the city of Santa Monica located at 415 Pacific Coast Highway, the Beach House Pool is one of the remaining elements from the historic Marion Davies Estate. The pool opens seasonally to the public and hosts recreational swim in addition to aquatics events and swim lessons. Drop In: First come, first served. Day-of passes available from 9 a.m. and must be picked up by 11 a.m. Guests must be present at the window when purchasing drop-in passes. Online Reservations: A limited number of reservations will be available starting at 7 a.m. 1-3 days in advance online via smgov.net/reserve. Account login required. Click ACTIVITIES, search keyword “ACBH POOL” and select an available date. Limit six pool passes and one parking reservation. Reservations must be picked up at 11 a.m.
Summer pool hours run from May 26-May 28 and June 2—June 3 from 10 a.m. to 6 p.m. Pool Opens daily starting on June 9 until September 3 from 10 a.m. to 7 p.m. There is a $10 fee for adults and $4 for youth (ages 1-17), $5 Seniors (60+). For more details on the pool, parking and more, visit annenbergbeachhouse.com or call (310) 458-4904. Photo courtesy of the city of Santa Monica. Operated by the city of Santa Monica and located at 2225 16th St., the Santa Monica College campus, the Santa Monica Swim Center boasts two heated pools – the Olympic-sized fitness pool and the splash pool with a maximum depth of 4.5 feet. Newly renovated locker rooms and showers are available at this facility. 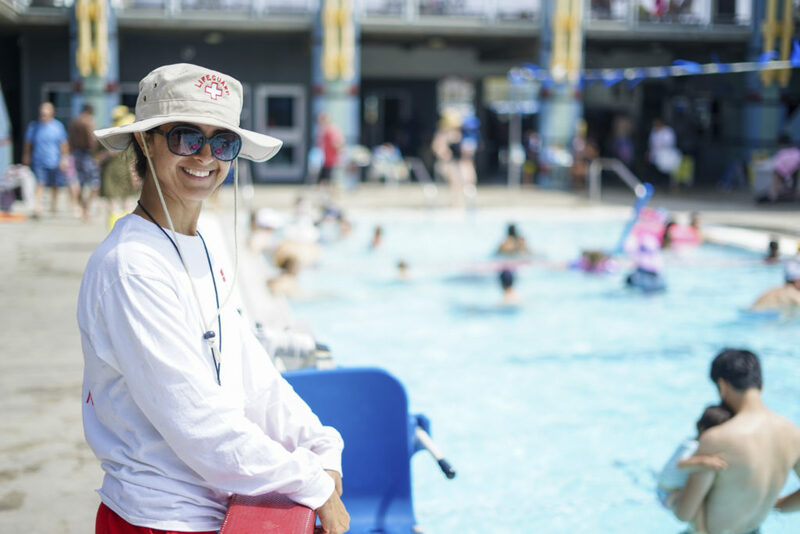 Summer pool hours run from June 9 to August 26. Recreational Swim is Monday thru Sunday from 10 a.m. to 7 p.m. For swimmers who enjoy diving boards and 25 yard and 50 meter long course swims, check santamonicaswimcenter.org/drop-in for hours of availability. For Santa Monica residents with valid photo ID and/or current utility bill pay half of the non-resident rate. To view a full listing of fees available at santamonicaswimcenter.org/drop-in. Operated by the city of Santa Monica, the Lincoln Middle School Pool is located at 1501 California Avenue and is heated with approximately 25 yards with six lanes. Locker rooms are available. Hours of operation include lap swim only on Tuesdays, Thursdays and Saturdays 5:30 a.m. to 7 a.m. Saturdays and Sundays from 6 p.m. to 8 p.m.
A full listing of fees available at santamonicaswimcenter.org/drop-in.